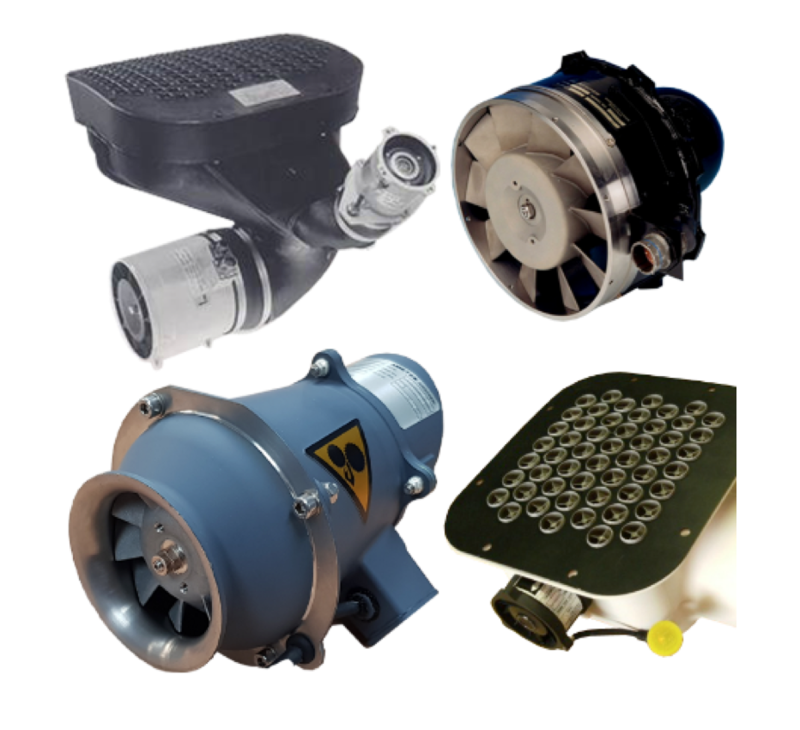 These fans are specifically used to evacuate sand or dust laden air from vehicles. Sand Scavenge systems are often used on helicopters and armoured fighting vehicles to prevent sand ingestion into the engine, avionics bays or CBRN filters. For this application we often use a type of fan known as Mixed Flow Fan. Due to the thickness of the blade chord, a mixed flow fan can absorb more wear and, due to its unique aerodynamics characteristics, the blade wears at the leading edge rather than at the tip allowing the fan to retain its performance as the blade becomes worn. Another advantage of the Mixed Flow Fan is its stall characteristic. With no appreciable stall point a mixed flow fan can experience variable airflow resistance without stalling. This type of fan is ideal in this scenario because upstream air filters will become blocked overtime. These features make the mixed flow fan a good selection for scavenge applications with clear advantages over other fan types. Apart from individual fan units we also supply and have the expertise to develop sand scavenge systems which incorporate two or more fans together with cyclonic filtration or inertial separators.